Stay tuned for a compelling discussion on “Social Stigmas & Benefactors: The Power of Mentorship Today,” taped last Saturday at Everyman’s World of the Play. 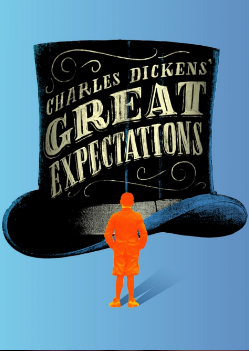 The panel of guests discussed themes generated from the current production of Charles Dickens’ “Great Expectations” at Everyman. With: Nicole Hanson, Board President of Out for Justice and Re-Entry Program Coordinator for Strong City Baltimore; David C. Miller, Creator of Dare to Be King LLC and author of many books, including the children’s book The Greene Family Farm; and Gianna Rodriguez, Founder of Baltimore Youth Arts.